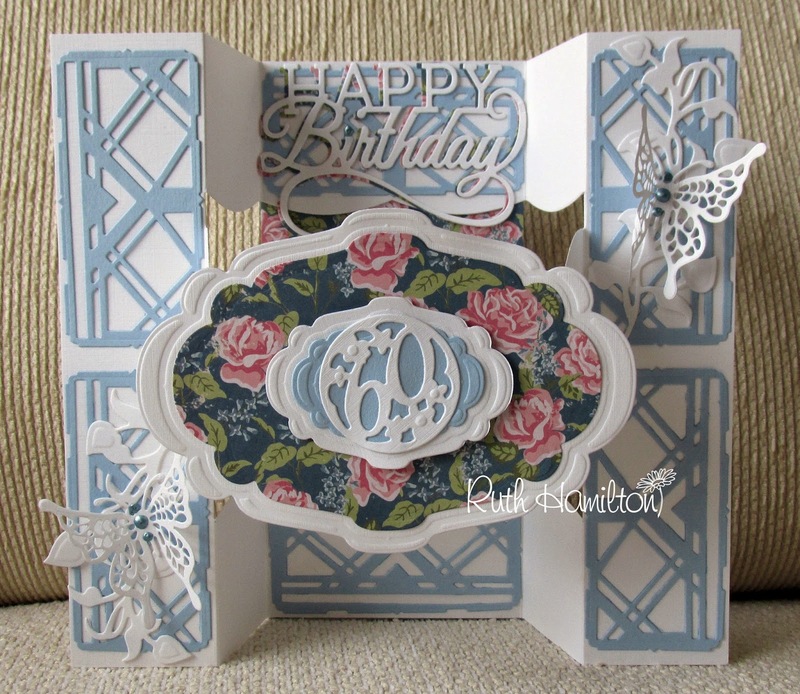 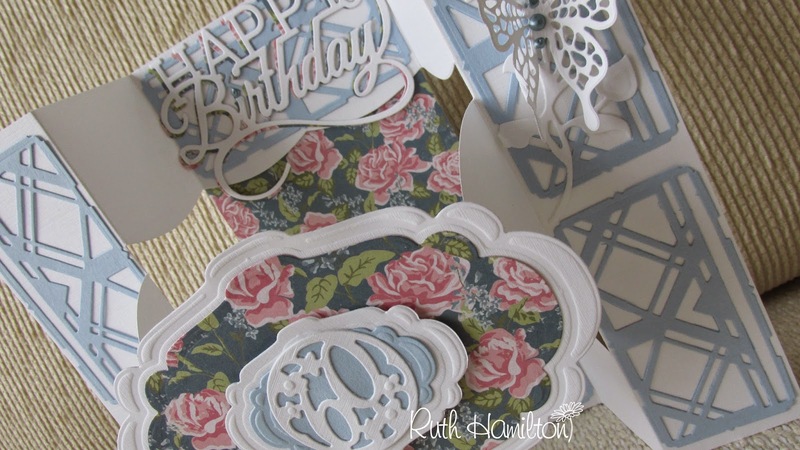 I've used the Tonic Studios Imperial Shutter dies to create this dimensional card - just with a slight twist. 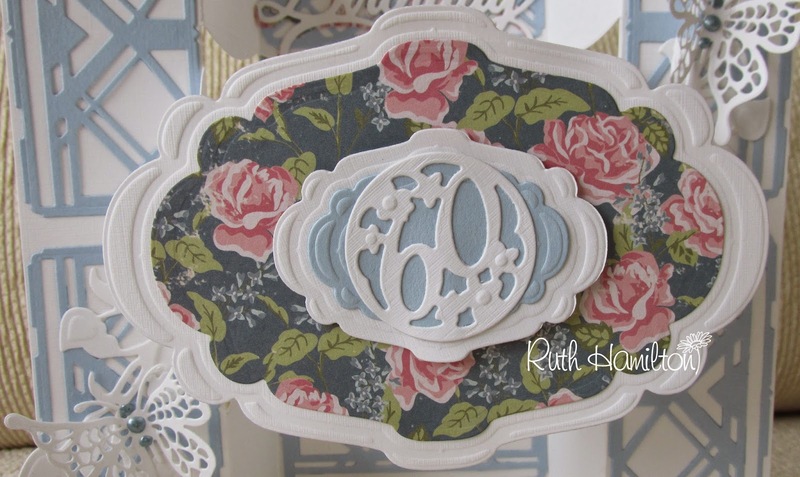 I used the Elegant Oval dies in the center and wanted this card to protrude in the middle and not fold in three so I added a strip of card at the back with matching patterned paper. 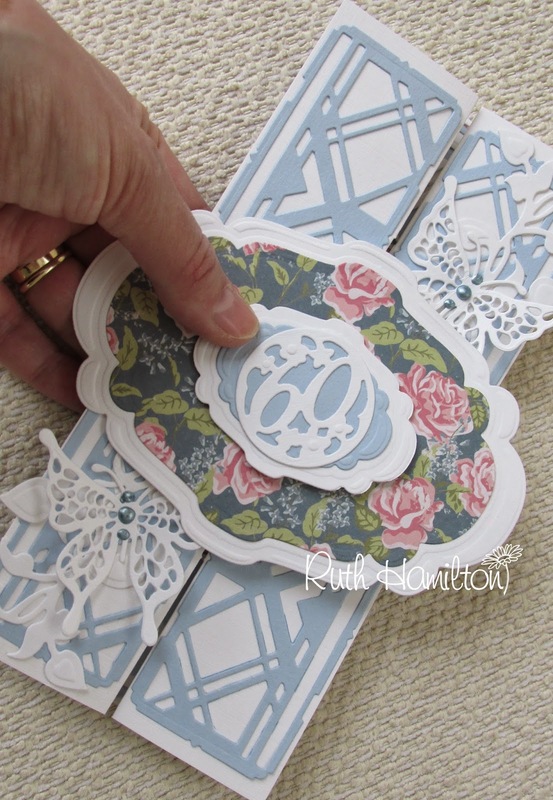 I've also used the Felicity Butterfly and Indulgence Pop up Occasions dies.